25-01-2019 - DAVOS, Switzerland — The Kurdistan Region is one of the "most interesting areas" for Russian oil and gas companies to continue or to increase investment. 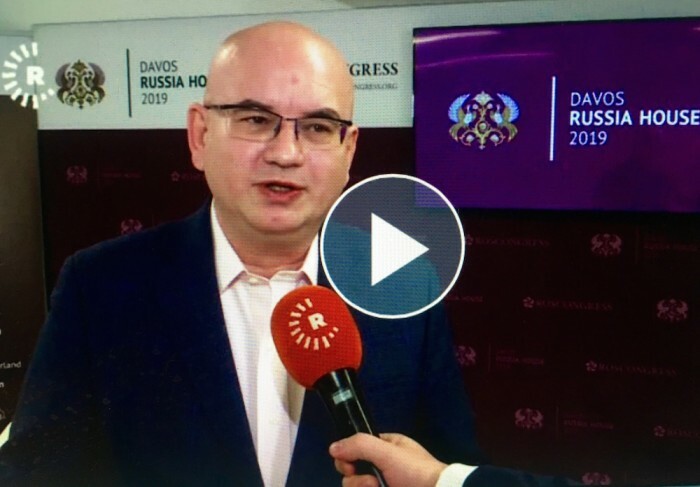 "In Russia there is a big interest in the Region and taking into account the global developments we clearly see that Russia would explore opportunities in new markets or in existing markets," Alexander Ivlev told Rudaw English on the sidelines of the World Economic Forum in Davos on Thursday. Ivlev is Ernst & Young's (EY) Commonwealth of Independent States (CIS) Managing Partner and Deputy Regional Accounts Leader for Central, Eastern and Southeastern Europe & Central Asia. "And your Region actually represents one of the most interesting areas where Russian companies would invest," he said. Rosneft is one such Russian company which is already active in the Kurdistan Region — having announced increased interest in blocks in the Duhok province. Iraq and what's now the Kurdistan Region have been active in the oil sector for more than a century, but they also have largely untapped gas reserves. "You have good opportunities really to be a big player in this market," emphasized Ivlev. He sees Middle East oil and gas exports as being "critical" to fill the demand of Asian consumers, "huge potential." The United States and now Europe are increasingly targetting Iran and Syria with sanctions. "Sanctions itself never helps. It never helped anyone. This is an obstacle for doing business, for doing trade for engaging with international investors ... sometimes we overestimate the impact of sanctions," argued Ivlev.